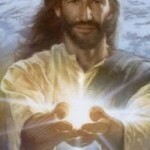 Sananda; Let me guide you! I am Sananda and I love you! in your life doing what you are doing! This is what you are used to and how you look upon your life. Yet there are something I would like to say. ..! Have you forgotten that I love you!? Do you think I am so great and large that I could not know you? Do you think I am so busy with more important things that you and your life would be unimportant to me?! Every part, all of us is equally important! You are equally important to any of us! Please dont listen to Those that say anything different! We are one, and all parts of our oness is like a ribbon that never ends, it is a full circle. And If you look closely on the ribbon there is Pearls and beautiful beads actually creating this ribbon. Each Pearl is equally important and has its own color and qualities. All are necessary for the whole band to work good! So you are one of those gems, a long with us all. We need you to step up FOR YOUR SELF…and for the collective of Light! I know every one of you! Lay all your worries on me and I will help you! I just think you have forgotten about your birthright…and about who you are! You have many brothers and sisters that love you and they are awaiting your awakening to your own acknowledgement of yourself!! and I would like to walk hand in hand with you as you are so important to me and our collective. It is a matter of YOU and your faith in Yourself and I walk beside you and I am waiting for you always! and says “when you realize how important you are and how you spread the light, the more your pearl, gem, will interact with the ribbon and you will be in Your true essence.